For large groups of 13 or more participants why not combine the indoor and the outdoor escape experience in our Double Bill Escae Package? 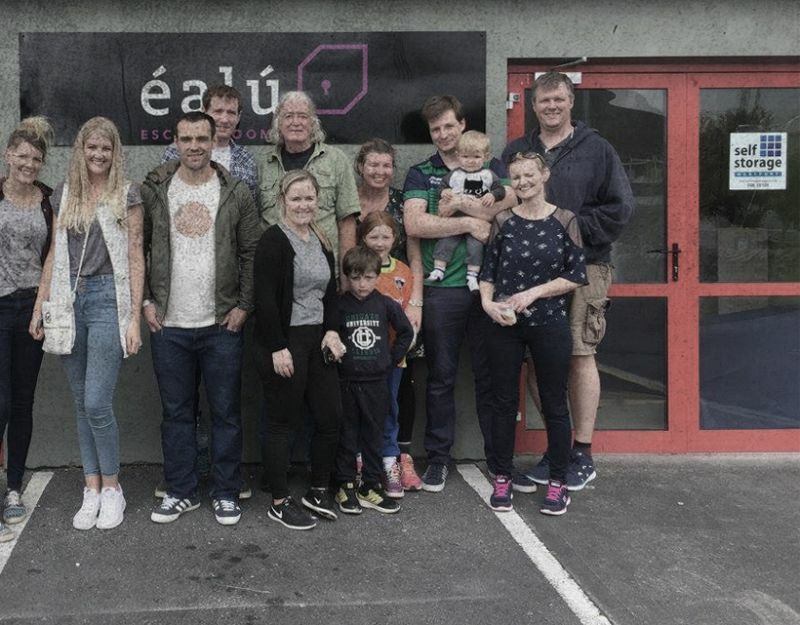 Éalú Escape Rooms have two indoor game rooms that cater for a maximum of 12 participants and an outdoor, escape room styled, scavenge hunt that can take a maximum of 12 participants. The total number of players we can cater for is 24 at any time. The objective off all 3 games (indoor and outdoor) is the same with each game following different storylines and themes. The outdoor game is based on the witness protection program, where one of the participants after witnessing a crime needs to be relocated to a safe house and change their identity. The game consists of various logical puzzles spread outdoors in the estate where Éalú is situated, travelling no further than 500m from the Éalú Escape Rooms. The success depends upon finding clues, deciphering messages and solving all puzzles before the time runs out. To book, choose which of the packages below suits your needs the best and email or call us to make a group booking.